In October of 2011, after 42 long years of dictatorial rule, Muammar Gaddafi’s death marked a significant turning point in the Arab Spring uprisings in many countries in the Middle East. Libya was already acting as a catalyst for civil resistance and his death only fueled protests and demonstrations. Two years after the overthrow of Libya’s leader, Reporters Without Borders listed Libya as 131st on the 2013 World Press Freedom Index. Although this ranking is quite high on the list, it does indicate something is occurring in Libya: change. Libya has been steadily moving up on this index after Gaddafi’s death. In 2009, the year before Gaddafi’s murder, Libya was listed as 156 on the list. Since that time, Libya has moved up 25 places on the list indicating a reflection of the government’s intention of creating steady and progressive change towards free speech and free press rights, which have been met by many profound challenges. Following the attack on the American Embassy in Benghazi just this year, in which four Americans, including the U.S. ambassador to Libya, were killed, United States-Libya relations are in a fragile state. The Arab Spring uprisings and the overthrow of Gaddafi in 2011, promised a bright, democracy-filled future for Libya, but one that has proved not easy to be reached. The threats of armed militias are noted as the greatest problem facing Libya’s future and against progressive change for free press and free speech rights. Journalists in Libya risk their lives each day trying to put pen to paper and bring stories to a country that spent 42 years in the dark, only hearing stories spun by their authoritarian leader, Gaddafi. As the Libyan Supreme Court becomes more established there is a potential that it will develop similar precedents to the United States Supreme Court and will expand on free speech and free press laws for individuals. There is hope for purposeful and consistent change in Libya that is seen through the brave journalists, writers and protestors that rose up against tyrannical, suppressive rule to fight for right to speak and the right to write their opinions. Libya’s infamous dictator, Muammar Gaddafi, held a 42-year-long control over the country, exerting his power in eccentric and violent ways. Gaddafi originally gained control over Libya in a 1969 military coup at the age of 25 (Kellner, 51). His primary system of control was dubbed “the state of the masses” or al-Jamahiriya, which was specifically outlined in his two-volume Green Book (Kellner, 52). Throughout the 1970s, Gaddafi began growing his pool of connections with terrorist organizations and began to stockpile weapons of mass destruction. He supported the bombing of the Berlin disco that American soldiers often attended and other terrorist bombings by Libyans. In retaliation, President Ronald Reagan directed missiles at Gaddafi’s home and was responsible for killing one of his adopted daughters. This began many decades of attacks between the United States and Libya engaging in hostile relations. Libya chose to negotiate with the United States, however, by claiming to shut down their weapons of mass destruction program and to fight against al-Qaeda.Author, Nahlah Ayed, who wrote A Thousand Farewells: A Reporter’s Journey from Refugee Camp to the Arab, describes Gaddafi’s rule by saying that, “His forty-year ‘revolution’…had quickly turned into a one-man occupation, a hostage taking of an entire nation,” (Ayed, 313). The vast majority of citizens in Libya were unhappy under the dictatorship (Ayed, 96). Ayed further described the system of fear that Libyans experienced, “Anxiety is the default emotion, fed by the fear instilled by authoritarian regimes that rule by the application of force. The fear then grows: fear of worsening poverty, fear of instability, fear of chaos, and fear of hope,” (Ayed, 96). And with this system of fear, the Arab Spring movements beginning in Egypt and Tunisia, Libya joined the revolts on Feb. 17, 2011 (Kellner, 53). After several months of trying to suppress the rebel forces, Gaddafi was attacked and murdered in a mob in October of 2011. These articles fall in line with common democratic principles, guaranteeing basic freedoms, most notably of freedom of speech and of the press. Under Gaddafi’s 42-year-long regime free speech was limited to an extreme. Freedom House in 2005 did a measure of Libya’s civil liberties and found that Libya was classified under “Not Free” because the dictatorship suppressed so many rights. For instance, it described the state of the country by saying, “Free media do not exist in Libya. The government severely limits freedom of speech and of the press, particularly any criticism of Qadhafi” . By taking away the right of the citizens to say anything ill of their leader is the ultimate suppression of free speech. Moreover, there have been WikiLeaks cables that have revealed that Gaddafi’s regime was responsible for torturing and holding citizens for speaking against the government. For 42 years, Libyans were subjected to harsh rule regarding free speech. However, the Arab Spring uprisings instilled hope in Libyans to for a right to speak more freely in their future. The government in Libya is still in its preliminary stages and with that comes great challenges. The Constitutional Declaration outlines specific free speech rights but these rights have still been disputed. One specific incident that is said to have violated free speech rights was Law 37 which criminalized any “insult to the Libyan people and its institutions”. After much dispute, however, this law was deemed unconstitutional by the Libyan Supreme Court. Furthermore, the rights of individuals that actively engage in free speech in Libya have been in harm’s way. Commentators and citizen-journalists, following the fall of Gaddafi, were thrilled at the possibility of reporting but they still have significant threats that limit the things that they voice. There have been “filming bans, arbitrary detentions, and deportations of journalist”. Another significant aspect of free speech that is limited is public debates especially in the case of religious discussions. Although, Libyans have been more apt to have to have religious debates, often time’s armed conflict is the byproduct of these instances. For several decades all media outlets in Libya were under the intensive control of Muammar Gaddafi. It was a media blackout similar to North Korea’s current situation in which journalists were oppressed from any kind of expression against the government. There were two major satellite stations in Tripoli operated by Gaddafi and his son. Gaddafi’s stronghold over the press was described by saying, “His overwhelming, often eccentric presence stunted the development of any kind of institution and smothered even the idea of an independent press” (Ayed, 313). Moreover, in 1985 Reporters Without Borders dubbed Gaddafi as the “Predator of Press Freedom.” This was largely because Gaddafi’s forces were responsible for arresting journalists, torturing them and exiling others. As a result of this and because of the fear associated with seeking out any information other than the states sources, conspiracy theories and Gaddafi’s word were the common source of media (Ayed, 95). Under the new democratic-driven government in Libya, free press rights have shifted. The new constitution outlines explicit rights for journalists and the freedom of the press. Now citizens are allowed to watch, listen, and read whatever they want. Because of this, journalism in Libya exploded after the fall of Gaddafi. There were more than 120 new publications in 2011, which arose after Gaddafi’s death. After 42 years of hibernation, journalists are awakening to make free press the top priority in Libya. One magazine that is now prominent is The Libyan which devotes half the magazine to political updates on the shifting democracy. “Fresh alternatives on TV and radio” are also available as well, “a new generation of Libyan journalists are enjoying their newfound freedom of expression despite the lack of training and infrastructure”. Exiled journalists returned home to help fuel this changing scene and newfound free press rights. However with the shifting free press comes many challenges such as the “several recent incidents, including attacks on media organisations, threats against journalists” . The threats against journalists are typically from religious or semi-armed groups which are the frequent target of death threats. In order to preserve media freedom, journalists must be protected at all costs because they act as a check on the changing government. The 2013 World Press Freedom Index ranks the United States as 32nd on their list. With Libya ranked at 131st on the same list, it is very apparent which nation is considered to have more freedoms. However, Libya is beginning to shift its country into being a place with more freedoms. The Libyan Supreme Court has begun to answer some of the questions regarding the freedoms of citizens. When the Court struck down Law 37, a law that prohibited negative comments against Libyans or its institutions, it has proven that it is moving down the road to greater freedom. The United States, as a more established democracy, already guarantees free speech rights that allow criticism of the government and now Libya also guarantees free speech rights, but only to a certain extent. Free speech rights have been booming in Libya upon the overthrow of Gaddafi, but there have still been significant threats to the journalists expressing these rights and arbitrary detentions of these journalists have been all too common. Freedom House writes that, “The court system has begun to recuperate, with some functioning courts in city centers trying ordinary cases. However, investigations into a large number of cases involving torture and extrajudicial executions before and during the civil conflict…an estimated 9,000 individuals remain in government or militia custody without any formal trial or sentencing”. This inefficient system is a denial of basic due process rights for detainees, a right that is guaranteed in the Fourteenth Amendment in the United States. The Libyan detainees in prison, while the government is in transition, can also be compared to the military prison in Guantanamo Bay, Cuba. Although it is argued that the freedoms are different for individuals because it is a military detention center, prisoners are still being denied due process for years and are subjected to torture. In this context, Libya and the United States are on par because it is uncertain whether or not the prisoners in Guantanamo Bay will be given due process and the same for suspects like Saif al-Islam al-Qadhafi and Gaddafi intelligence chief Abdullah al-Senoussi being detained for years in Libya. One notable difference between Libya and the United States with regard to free speech and press is an ideological one. The Libyan government and Supreme Court have not been established long enough to set precedents. In the instance of religious speech and public debates that have occurred under the new government, there has been tolerance by the Libyans but in many cases the debates have led to armed conflict. The attack on the United States Embassy in Benghazi as a response to the low-budget film criticizing Islam caused riots and the deaths of four Americans. The idea of tolerance and defending free speech no matter what, even if the ideas are not agreed upon is very key and something that the United States has been able to set precedent on. In Brandenburg v. Ohio in 1969, a case regarding the Ku Klux Klan verbally attacking Jews and African Americans, the speech was very hateful and yet the Supreme Court reversed Brandenburg’s conviction, proving that hate speech can be protected as long as there is no imminent violence. Anthony Lewis’s book Freedom for the Thought that We Hate encapsulates this ideological difference between Libya and the United States. Lewis writes that, “Freedom to speak and write as you wish is the inescapable necessity of democracy.” Libyans must understand that there are going to be instances in which speech is going to be hateful or disagreeable, but the fact that the speech is able to be criticized should be celebrated as it is in the United States. Expression of thought allows individuals to pursue a more purposeful life. Anthony Lewis describes this as, “the need for self-expression if life is to be worth living,” (Lewis, 184). As Libyan journalists are returning home after being exiled for so many years, there has been an abundance of free press media sources. New publications have been created and journalism is at an all time high in Libya. Because free press is a recent addition to the Libyan daily life, a precedent has yet to be set to protect free press as it is protected in the United States. For example, the Supreme Court case in 1931, Near v. Minnesota, a case involving newspaper editor Jay Near who claimed local officials were controlled by undercover gangsters. The Court established a principle in their decision called prior restraint, which said that the government is not allowed to censor publication except in unfair and rare circumstances. As Libyans are publishing factual information and perhaps angering some individuals for doing so, there have been “several recent incidents, including attacks on media organisations, threats against journalists”. Free press in Libya must be protected even if speech is revealing scandals and could upset a few readers. Libya is currently moving towards a progressive democratic change, that could provide further protection for free speech and free press laws that have already been outlined in the Constitutional Declaration. Ayed, Nahlah. A Thousand Farewells: A Reporter’s Journey from Refugee Camp to the Arab Spring. Toronto: Viking, 2012. Print. Kellner, Douglas. Media Spectacle and Insurrection, 2011: From the Arab Uprisings to Occupy Everywhere. London: Continuum, 2012. Print. Lewis, Anthony. Freedom for the Thought That We Hate. New York: Basic, 2007. Print. 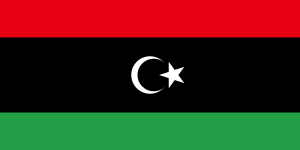 – Image of the Libyan flag is used creative commons from Wikipedia.